Are you growing tired of the Flames and their constant busy work leading up to the free agency window? I know I am. Nevertheless, one more signing before the rest of the league explodes on July 1st, as the Flames came to terms with defenseman Michael Stone, signing him to a 3-year, $10.5 million deal. Stone was set to become an unrestricted free agent on Saturday, if a deal wasn't done, but the 27-year old came to terms with the team that acquired him at the trade deadline last season, also finishing off the trade transaction, as the Coyotes will receive a conditional draft pick, because Stone re-signed. In the 2017 season, Stone finished 117th among all defensemen in scoring with 3 goals and 15 points in 64 games between Arizona and Calgary, just outside of the top 100 he'd need for a full post. Still, the Flames make him the fifth defenseman on the team being paid more than $3 million and they'll really have to squeeze his time in. The last day to put players on waivers for the purposes of a buyout saw a good number of players dropped, so we'll quickly go through the list, which starts in Boston, where the Bruins placed Jimmy Hayes on the wire to start proceedings. Hayes, a $2.3 million cap hit for the 2018 season, only had 2 goals and 5 points in 58 games for the Bruins and those numbers didn't jive. Hayes was hovering around as a possible hockey pool possibility, but he never really panned out. His buyout cap hit will be under $600,000 this year and $866,667 next season. The Flames remained significantly active, adding two players to this list on Friday, as forward Lance Bouma and newly-acquired defenseman Ryan Murphy were both let go for buyouts. Bouma, much like Hayes, was not giving the team value for their cap hit, scoring 3 goals and 7 points in 61 games for $2.2 million next season. His cap hit for the buyout will be $666,667 this season and $766,667 the next season. Murphy was obviously not in the plans for the Flames, nor was he in the plans for the Hurricanes and taking on the buyout was certainly a part of getting Eddie Lack on the cheap last night. Murphy will cost the Flames $100,000 this year and $137,500 next. The Florida Panthers joined in on the fun by giving Jussi Jokinen his walking papers on Friday. The 34-year old Finn was scheduled to make $4 million in the coming season, but with only 11 goals and 28 points in 69 games last season and no signs of recovery, the Panthers opted for the cap space instead. The cap hit on Jokinen for the next two seasons will be $1.333 million, which bumps up their available cap space for the start of free agency to $15.2 million. The New Jersey Devils were the only other team to turf two contracts on the final day of the buyouts, as they decided against moving forward with forwards Mike Cammalleri and Devante Smith-Pelly. Cammalleri is the only one of the bunch today that had any pool value to his name, having 10 goals and 31 points in 61 points, good enough for 190th among all forwards in scoring, but with two years at $5 million per, the Devils appear to want to start fresh with their franchise and this is a good chunk of change to let go of. The Devils will be on the hook for four years with this buyout at a rate of $1.667 million per year. Smith-Pelly hasn't panned out as an offensive threat in the NHL yet in his career and that has now cost the 25-year old his last year of a deal that carried a cap hit of $1.3 million. Last season, he scored 4 goals and 9 points in 53 games and he'll be out looking for a new deal this summer. The Devils now sit below the cap floor with a projected 20-man roster, but are in the rumour mill as one of the teams bidding on Kevin Shattenkirk's services, which should sort that problem out quickly. Finally, in Winnipeg, veteran defenseman Mark Stuart was made expendable by the emergence of both Josh Morrissey and Ben Chiarot as regulars, and since he wasn't scooped up by Vegas at the expansion draft, the Jets were left with the buyout option, ahead of free agency. Stuart carried a cap hit of $2.625 million on the last year of his deal, which will turn into cap hits of $1.458 million this year and then $583,333 in the 2019 season. The shutdown defender should be able to find some work this summer, just at a discounted rate. This is definitely still one of my favourite posts of the off-season, going over the injury prone players, figuring out who to stay away from, trying my best to keep my chances for a healthy hockey pool team together. There is no question that a lot of it remains to be luck and there is a good portion of luck needed from year after year, but I still think you can massage those numbers in your favour, if you have a good idea about who to step around. Last season, my team finished in 2nd place in skater games played at 943 for 12 active players through 26 weeks. Only Marcie's team was better than mine at 958 games and Wes came up in 25th with 817 games played. You still need to have a pretty good scoring rate for your skaters, as neither Marcie or myself finished in the top three, although her team was much closer than mine, but as long as you have players playing, you at least have a chance. What I am trying to accomplish, when I add players to this list, is trying to find those players who are missing 15 or more games during the season, over a few seasons consistently. Some players have histories of concussions, which is always something to consider as well, as we've seen in a number of players, the history of concussions have been known to repeat over time. When it comes to these identified players, I won't necessarily dismiss taking them altogether, but I will discount their point projections to a point at which they come up later on my list at the draft and then if they're showing up and still available, I would be more likely to consider them for my team. Usually, however, someone else has already snapped them up, taking a bigger risk on them. Undoubtedly, there are some times that it works in their favour too. Four notations on the injury list in the 2017 season brought the injury prone spotlight to Dallas' Jason Spezza, who does have a pretty good track record of getting hurt. Two lower-body injuries, a back injury and an upper-body injury were the highlights of his injury prone season, adding up to 14 games on the shelf, but only one trip to the Injured Reserve. Nevertheless, Spezza still finished 125th in pool scoring with 15 goals and 50 points on the year, but looking at that Stars lineup, you would have to have thought that there was going to be a bunch more points out of the big guys, including Spezza, but injuries really hindered his season. This has to be the thought process going forward, as the 34-year old isn't getting any younger. How Thomas Vanek has alluded this list, thus far, is somewhat shocking. If you were to cruise his transactions list, you'll notice that he gets hurt... a lot. Okay, it's a game here and a game there, but 11 games to a hip injury in the 2017 season kind of sealed the deal in the end. Vanek, now an unrestricted free agent, does have the veteran scoring savvy of a good hockey pool addition, but now the 33-year old is finding new and exciting ways to find the injury list and to me, that diminishes his fantasy or hockey pool value. I would be a little more hesitant to pick him up for next season, unless I was looking for a bargain pick late. It has been a rough three seasons for Winnipeg's Bryan Little, as three injuries have limited those years by a good number of games. In the 2015 season, it was an upper-body injury that caused him to miss 11 games, while the 2016 season, he missed the last 25 games, also to an upper-body injury and this past year, a lower-body injury forced him out of 23 games at the start of the year. Little has been pool worthy each of those years, but if you're going in thinking that he is going to be better than last year, you may want to have a look at that trend. Jonathan Ericsson was a borderline/fringe defenseman in the 2016 season, thanks to having 27 teams in the hockey pool, and that earn him some consideration during the 2017 season, albeit, not until the second Waiver Draft, but nevertheless. Right after his selection though, injury! A significant wrist injury, which needed surgery, ended his season shortly after his selection and that forced our hand to have a look at his list of games lost and they are pretty significant. The shutdown defender does tend to miss some time here and there and that has really limited his offensive output, but he still remains as a decent option for the PIM pool, if that mini-game does come around again. He's a late round draft pick, at best, anyways, but you may want to consider other healthier options. It may be high time to consider the style of play that Brendan Gallagher is taking on, as he has now had back-to-back seasons with some significant time lost. Between a broken finger and a lower-body injury, they cost him 29 games in the 2016 season, while last season, he missed 18 games to an upper-body injury. Gallagher just snuck into being pool worthy this season, only on ties, but he is a serviceable player, when he's healthy, so there's always going to be that attraction to taking him in the draft. I would just be sure to take this advice into consideration before doing so. The Tampa Bay Lightning had more than their fair share of injury problems in the 2017 season and for the third season in a row, forward Tyler Johnson was held from a healthy season, thanks to injury. On three different occasions in the regular season, Johnson was held out of the lineup, due to injury, mostly dealing with lower-body issues in the new year. Johnson also missed 13 games in the 2016 season and only 5 games in the 2015 season, but he's turning more and more into a playoff-only kind of player and he may not be the guy that you want to carry your hockey pool team in the regular season. I'd buy low on him, until he really makes the move to improve his consistency in the lineup. The Minnesota Wild poured a lot of cap space into Zach Parise since the summer of 2012, but it has been less than profitable for the team, as he hasn't quite been the guy to carry this team to the next level. The Wild have been good, but I don't think a proportional amount of the load has been on his shoulders. Inconsistency in his healthy could be a contributing factor, as he hasn't been the healthiest in the last four seasons, having missed 13 games in the 2017 season, in the most recent history, missing time to illness three times this past season. Parise used to be a top end pool contributor, but I'm just not seeing it much anymore. The stock prices are dropping on Rick Nash, as are his production numbers. Missing 15 games in 2017 and 22 games in the 2016 season, Nash's reliability is also really coming into question and it stretches even further than that. The New York Rangers, unless they can get a deal done, only have one more year on his current deal to worry about, but one would have to think that it is on their minds to move him, if possible, in the next calendar year. Nash hit the shelf four times in the 2017 season, dealing with a groin problem twice, an upper-body injury and one injury that wasn't disclosed. The former 1st overall pick in 2002 has fallen quite a ways from where he once was and his recent hockey pool draft positions can reflect that. There has always been a lot of potential upside to defenseman Jonas Brodin, but in the last couple of years, his seasons have been derailed by a couple of broken bones. A broken foot in 2016 cost him 12 games, while a broken finger this past season cost him 14 games and that all could be because he has bought into the North American game, where blocking shots is key to a team's success. Well, that's likely the case for an NHL club, but for a hockey pool team, blocking shots isn't going to do us a whole lot of good, especially when he isn't doing it very well. Brodin is pool worthy, but he may be better suited to be a bargain pick than a sure thing. The Anaheim Ducks will be starting the season without defenseman Sami Vatanen, but this isn't anything new from the Orange County club, as Vatanen has missed games on a regular basis in his young career. Vatanen underwent off-season shoulder surgery, which will certainly limit his 2018 season, possibly to the point where he shouldn't be taken at the initial draft this coming fall, but his record of injuries should be enough to suggest that you may want to avoid him, as much as possible, unless you're really looking to take a gamble. If he could string together a healthy season, which isn't going to be the case until 2019, at least, he is a definite hockey pool contributor. You can't do these lists without being prepared to eat a little bit of humble pie and there are some players who can bounce back from their placement on the Injury Prone List and come back with solid years. This year, I'll start with these players in my review of past seasons and first off, one player hit the 82-game mark in the 2017 season and that was Ryan Nugent-Hopkins. I am prepared to argue that having a guy like Connor McDavid will lessen the checking load on your number two centre and that could be the case here, but he's still going to remain on the list. Nine more players missed less than five games in the 2017 season, making them pretty good picks and possibly some bargain picks in the year. This pool worthy portion of this list includes Mikael Backlund of the Flames, Max Pacioretty of the Canadiens, Mark Giordano of the Flames, Jason Demers of the Panthers, Nick Bonino in Pittsburgh, Jeff Skinner of the Hurricanes and Tyler Bozak of the Maple Leafs. Both Kevin Bieksa of the Ducks and Lars Eller of the Capitals failed to make the pool worthy portion of the list, but they both still were healthy for the better part of the year. Sergei Bobrovsky of the Blue Jackets still had a pretty good season in 2017, but he wasn't immune to a couple of games off, due to illness. 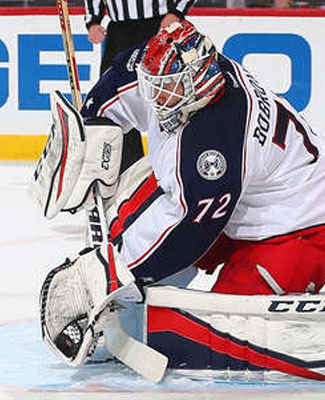 Bobrovsky was the top ranked player in pool scoring on the list, finishing 4th overall in points, thanks to 63 appearances. Both Sidney Crosby and Evgeni Malkin won the Cup this year, but they were both added to the list in 2013 and for good reason. Crosby missed seven games this year, which isn't too bad, but Malkin missed 20 games, but he still finished 25th in scoring among forwards. The Ottawa Senators were most kind in letting Craig Anderson take time off to be with family during a tough time, which normally wouldn't count for his own injury concerns, but he is still on the list. It sounds like the family situation is still positive, but he's still an injury risk of his own. Steve Mason made 58 appearances for the Flyers, which is a pretty good number, but his number was a lower than some, due to the split with Michal Neuvirth. The unrestricted free agent may need to convince his new team that he can play a full season as a number one to get paid again. 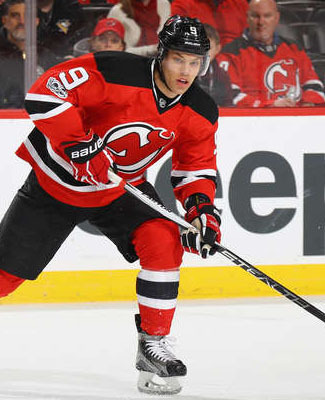 The New Jersey Devils got a good season out of Taylor Hall, as he only missed 10 games in the 2017 season, his first with his new club. Hall ranked 75th among forwards in scoring, but that is a combination between his time off and the scoring woes of the Devils, as a whole. Hopes are still really high that Aleksander Barkov can come around and be that elite player for the Florida Panthers, but back problems really limited his season and he missed 21 games in total. The Panthers are going to need him to be consistently healthy, before they can really start talking about making that big playoff run. In St. Louis, Alexander Steen was a little more reliable, playing 76 games on the season, but he still wasn't quite as productive as we've seen in years past. Steen only missed time to an upper-body injury, fairly early in the season, which doesn't quite explain the slight dip in his numbers, still finishing with 16 goals and 51 points in the season. I'll always hesitate when considering Steen for my hockey pool team. Goaltender Kari Lehtonen hasn't missed any time due to injury since the 2016 season, but his biggest hurdle in those last couple of years has been a platoon system, which may have worked to his advantage, where he hasn't been the number one guy getting worn down, night after night. By all indications already this summer, things won't be getting any better, as he's now the back-up to Ben Bishop in Dallas. In Buffalo, Kyle Okposo should be ready for training camp following a harsh infection, which had him in intensive care at the end of the season, but it was another season in 2017, where he missed significant time, 17 games, to be exact. He remains fairly unlucky, as a player, and I would continue to look past him at the draft, when you come around his scoring numbers. Winnipeg Jets forward Mathieu Perreault suffered a pair of upper-body injuries in the 2017 season, also missing a total of 17 games, continuing his trend of being unable to play a full 82-game season in the league. If you're looking for a reliable player for a full season, look elsewhere. Back to Buffalo. Evander Kane has only participated in one full NHL season and it was the shortened year of 48 games in 2013, so he has yet to play an 82-game season in his career. In 2017, he missed a total of 12 games, 11 games to cracked ribs and another to illness. He was still able to pot 28 goals, but with his scoring ability, prepare your team for a few games on the shelf. There have been rumours circulating that Mike Fisher's career may be coming to an end after that great run in Nashville, but we've yet to hear one way or the other on the 37-year old's status for the 2018 season. The unrestricted free agent will likely weigh his options, but a team has to know that he's on this list. Fisher missed a combined 10 games to four different ailments in the 2017 season and he also missed the last couple games of the playoffs, as his playing style has led him to injury on more than one occasion. The Vegas Golden Knights are not immune to the list, as they selected one player in the expansion draft on the list, forward James Neal. Neal was on the Injured Reserve twice in the 2017 season and sat out a few more games later on in the year, missing a combined 10 games. Neal has, unlike a lot of players on this list, played a full season once and it wasn't long ago either, but he's still a risky player to take, as he does play a physical brand of hockey as well. A hip injury kept speedy Rangers forward Michael Grabner on the shelf for a handful of games, adding to this list of injuries in his career, but he was still fairly consistent enough on the scoresheet to remain pool worthy. He's certainly the type of player I would want on my team, but on my fantasy team, he doesn't score enough to overlook his checkered injury past. The only break that Paul Stastny seems to catch is one to his bones, as he continues to suffer from being injury prone. In the 2017 season, the St. Louis Blues forward missed 16 regular season games, which included the last 10 games of the regular season to a lower-body injury. He should be a much better option for your hockey pool team than he has been, as he only ranked 194th in scoring among forwards and carries a $7 million cap hit. A string of injuries and illnesses kept Martin Hanzal from staying consistent in the scoring column between Arizona and Minnesota and now the unrestricted free agent is now on the market as an injury prone player. The hulking forward has struggled to stay healthy in recent years, not having played an 80+ game season since the 2010 season and his point totals in the 2017 season may have a lot of people overlook him at the hockey pool draft, no matter where he lands. And now to the defensemen part of the post, as Mike Green was the top blueliner among the injury prone and he still missed 10 games and finished 38th in the position in scoring with the Red Wings. A lower-body injury over the holidays cost the offensive defenseman eight games, while an illness cost him the other two games later on in the year. Green just has a knack for taking some time off, so he continues to be a risk with a pretty good reward, if you're willing. Andrei Markov is hunting for a new deal and he wants to get paid, but one of the first adds to the injury prone list still missed 20 games in the 2017 season. A lower-body injury cost him 19 games and missed almost all of January, but his production was still okay, picking up 6 goals and 36 points to be 41st among all defenders. However, that's not 2 years, $12 million worth of production. Everyone's favourite injury prone defenseman didn't disappoint in the 2017 season, unless you picked him really high in the draft... then you were definitely disappointed (and dumb for doing so). The sky-high risk and fairly high reward defender, Kristopher Letang, only played in half the season for the Pittsburgh Penguins and none of their playoff run, yet he still finished 48th in defensemen scoring. He is by far the biggest gamble of the bunch, but it could really pay off, if he could find a streak of luck in there somewhere. Finally, we've got Cody Franson, who has missed some significant time in the past, he continued to miss time here and there with the Sabres in 2017, a total of 13 games, due to a trio of injuries. He is now about to sit in unrestricted free agency and teams have to wonder about his durability. He was still 88th among defensemen in scoring last season, so will that enough to earn him a job somewhere? I wouldn't necessarily have guessed that the Minnesota Wild were in need of dropping a load of salary cap hits this summer, but on the eve of free agency opening up, they dropped a pile on the Buffalo Sabres in a deal that sees some players in need of a reboot to their production, get a change of scenery on Friday. The deal above sees four players shift spots, but only one of those players, Jason Pominville, was considered to be pool worthy in the 2017 season, while the other three either suffered through injury or a cold spell last season and their numbers were significantly down. The Sabres add some real quality talent in this deal, as Pominville returns to Buffalo as a seasoned vet with some scoring upside and then on top of that, they add a top four defenseman in Marco Scandella, who should compliment the team's existing top three in Rasmus Ristolainen, Zach Bogosian and Josh Gorges. 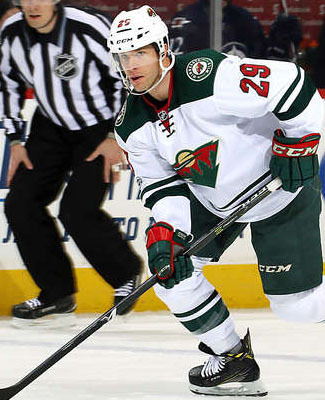 For the Wild, trading away Scandella takes a big piece out of their blueline and they don't exactly have anyone to fill that void, unless they have made some progress in unrestricted free agent talks, ahead of the window opening tomorrow morning. The Wild do add a little bit of speed and size with the two forwards that they picked up, but Tyler Ennis is coming off an injury-plagued season, dealing with his groin, while Marcus Foligno has slowly been coming along, but once signed, he could be a good physical option in the Wild lineup. The Sabres were definitely in need of some salary cap help heading into the summer, as they were still below the cap floor, before this trade dropped. The Sabres' number has now have lifted up above the floor and they still have $15.5 million in cap space, as a budget team. The Wild opened up a good deal of space in this deal and they should get Foligno at a reasonable rate, priming their salary cap number for a busy summer, where they still have to re-sign Markus Granlund and Nino Niederreiter. The Wild, by my early counts, have about $14.4 million in cap space, with four potential spots left to fill. That number is going to take a kicking with those two RFA contracts to sign, so we may still see some more movement from the Wild before the puck drops. The Sabres are trying to keep promises to Jack Eichel, clearly, trying to make the team more competitive around their number one player and this deal certainly does that. A strong defenseman like Scandella can go a long ways in the competitive balance, plus adding Pominville should add both scoring and leadership qualities, making the Sabres far more interesting this summer. The Wild are floundering in this deal and they took on a couple of question marks, to say the least. There has to be more to this deal than just dumping salary, so the coming days are going to be clutch for this franchise's future. On the eve of the free agency window opening, the Washington Capitals did well to re-sign potential restricted free agent defenseman Dmitry Orlov to a massive new deal. The Capitals and their 25-year old defender agreed to terms on a 6-year, $30.6 million deal on Friday morning, rounding out the team's top four blueliners once again, re-joining Matt Niskanen, Brooks Orpik and John Carlson as the team's main rearguard. Last season, Orlov finished 50th in defensemen scoring in the hockey pool, finishing with 6 goals and 33 points in all 82 games for Washington, making him into a fairly reliable option at draft time. The Capitals blueline will still have a couple new faces on it, because it does sound like Karl Alzner is heading to unrestricted free agency tomorrow and the team will need to fill out a little bit more, likely using some of their top prospects to fill the 5-6 roles next season. The Capitals also have some glaring holes at the forward position, ahead of free agency, which will also need to be addressed one way or the other. This current projected 23-man roster doesn't leave a lot of cap space for shopping tomorrow, as it currently has a shade over $7 million left underneath the ceiling, after you take into account their slight bonus overage as well. With Evgeny Kuznetsov, Andre Burakovsky and Philipp Grubauer all in need of new deals as restricted free agents, this Orlov cap hit probably means one or two of these three may have to be dealt away for cheaper, NHL-ready assets. The Calgary Flames were not done with the signing of Kris Versteeg on Thursday, as they completed their goaltending tandem for the 2018 season, acquiring Eddie Lack from the Carolina Hurricanes in an evening deal. The goalie market certainly improved for the Flames, as they were able to get an NHL regular goalie, with salary retained by the Hurricanes, also taking on a 2011 1st round pick in Ryan Murphy, a 24-year old defender who fell out of favour in Carolina for a 2013 3rd round pick in defenseman Keegan Kanzig and very late 2019 picks going either way. Lack is certainly familiar with the Pacific Division, where he started his career in Vancouver, but he didn't pan out to be the replacement starter that the Hurricanes hoped he'd be in the Atlantic Division. The Hurricanes acquired Scott Darling from the Blackhawks already in this off-season, pushing Lack out, but the Swede should have less expectations, filling in as the back-up for Calgary's new starter, Mike Smith. No player in this deal was considered to be pool worthy last season, but if Lack can take on 25 games for the Flames, he certainly has some upside for the hockey poolies out there. The Flames don't take on much more of a cap hit with this deal, knocking Thomas McCollum down from the table in the Versteeg post, it's only a $700,000 difference, taking their cap space down to $5.3 million, with free agency opening up on the weekend. 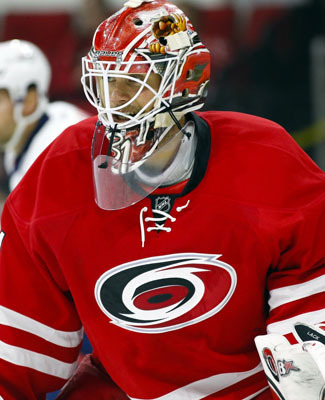 The Hurricanes, on the other hand, continue to clean up their salary cap concerns, now removing Lack from the traffic jam in the crease, yet still keeping some of his salary. With salary retained and a 22-man projected roster, I am still showing the Hurricanes under the cap floor by almost $5 million. This could mean they could find an unrestricted free agent and just throw money at him. We shall see. The Calgary Flames kept forward Kris Versteeg from hitting the unrestricted free agent market this weekend by signing him to a new 1-year deal, reportedly worth $1.75 million for the coming season. Versteeg was more than capable to handle some of the leadership roles for this young Flames team, as the 31-year old helped lead by example in the 2017 season, making him into a pool worthy forward. In 69 games, he scored 15 goals and 37 points, making him 153rd among all forwards and certainly worth another look when the draft rolls around this fall. The veteran did miss some time in the 2017 season to a couple of injuries, including a stretch on the Injured Reserve with a groin problem, but for the most part, he has been able to stay fairly healthy year after year, so he does remain a pretty good bet, when it comes to hockey pool time and you're looking for a good depth forward to compliment your side. The Flames have been doing a good job keeping their forward group together while putting together, what looks to be a stronger back end, when you add Travis Hamonic and Mike Smith to the mix. You could certainly make the argument that the Flames could tighten up their back-up goalie spot, maybe four or five forward spots, while a couple of blueline spots are up for grabs in training camp. Nevertheless, this projected 23-man roster, as of today, still has about $6.1 million left in cap space to play around with, but that's a lot of spots for so little money for improvements. The Flames have some decisions to make and maybe those decisions don't come until training camp. We'll see. The backup goalie behind Cory Schneider is not generally expected to get a lot of work. Keith Kinkaid has signed on again for another 2-year stretch with the New Jersey Devils to fill that void, so he must be okay with the amount of work he does get. The cap hit on this deal is $1.25 million per season, so the money is certainly right, if he gets a sniff of the 26 appearances he saw last season. In those 26 games, he posted 8 wins and 19 points, which was good enough for 53rd among all goalies, just outside of the pool worthy window we set out for these guys. When it comes to setting up the projections for this coming season, I can't see Kinkaid getting much more than the 15-20 points, as Schneider will still take on the brunt of the work. It looks like the first of the 2017 draft class has already put pen to paper, as the Tampa Bay Lightning have signed their 2nd round pick, the 48th overall selection, forward Alexander Volkov to his 3-year entry-level deal. Well, according to the sites and publications that I frequent, Volkov is a bit of a mystery. The NHL Central Scouting had him as the 27th ranked European player, as he split time in the system for St. Petersburg in the KHL, both the junior and minor league team. A quick signing must mean that the Lightning have something up their sleeve here, so this kid could be one to watch at camp. The Columbus Blue Jackets must have been humming and hawing about this decision, but on Thursday, they finally pulled the trigger and played the buyout card on forward Scott Hartnell. Since Hartnell had a no-move clause on his deal, he did not require waivers for the buyout, so the deed is done. In the 2017 season, the 35-year old finished the year with 13 goals and 37 points in 78 games, good enough to be pool worthy at 155th among all forwards in scoring. Sadly for him, that wasn't worth $4.75 million against the cap and the quickest way out was the buyout. According to CapFriendly, the buyout cap hit will then be $1.5 million this year, $3 million next year and then $1.25 million for the remaining two seasons. With the addition of Hartnell's buyout, the Jackets now have over $4 million in buyout cap hits this season, but still have $11.9 million in cap space with a 22-man projected roster. The Edmonton Oilers had to go the waiver route on Thursday, placing forward Benoit Pouliot on the wire for the purposes of the buyout process. Unlike Hartnell, Pouliot was not pool worthy in the 2017 season, having only 8 goals and 14 points in 67 games, only good enough for 307th among all forwards. He was scheduled to be a $4 million cap hit in the 2018 and 2019 seasons, if it wasn't for this buyout process. Again, we head back to CapFriendly to see that his buyout will be an even one across the board, as the cap hit for the four years will be $1.333 million. The 30-year old will join the ranks of the unrestricted free agent market on Saturday, where he will probably get some calls, but for a much more discounted annual rate. The Oilers are starting free agency with all kinds of room underneath the cap ceiling, as their current 22-man projected roster is still over $1 million below the cap floor. 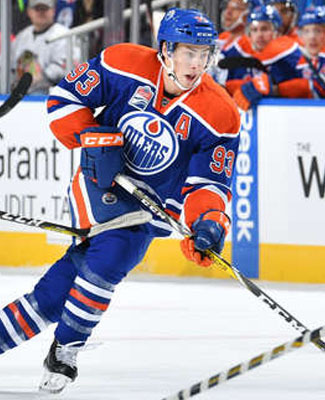 Of course, they still have to deal with Leon Draisaitl and that will take up a huge chunk of change. The St. Louis Blues have reported that forward Patrik Berglund has undergone a successful surgery on his shoulder, which he had injured in his off-season training and that the timetable for his return should put him back in December, missing the first two months of the regular season, at least. This isn't the first major shoulder injury in Berglund's career, as the 29-year old missed the first 40 games of the 2016 season to a similar injury. Last season, Berglund played in all 82 regular season games for the Blues, finishing with 23 goals and 34 points and that production will be missed early on in the season. He'll definitely be a solid pick-up mid-season for your hockey pool team, but whatever you do, make a note, so you don't draft him early on. On Wednesday, the Ottawa Senators announced that they had put pen to paper with back-up goalie Mike Condon, signing him to a new 3-year, $7.2 million deal. Condon was a huge help to the Senators in the 2017 season, as he was at the helm for the club, when Craig Anderson needed his leaves of absence for family reasons, and he held the fort quite admirably, helping the team reach the playoffs. 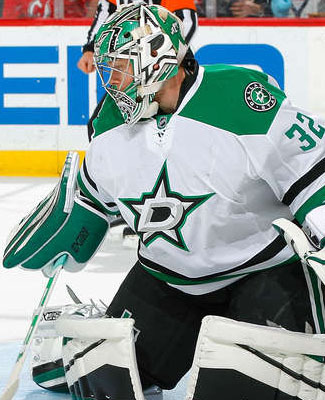 The 27-year old netminder posted 19 wins and 48 points in 41 appearances, 38 of those appearances were starts. Those numbers were good enough for 25th among all goalies in hockey pool points, putting him among the starters in the top 30, which makes for a pretty good year, considering his workload. The signing does recreate a log jam of netminders for the Senators, as Andrew Hammond is still hanging around with a significant cap hit to his name, one that could find its way back down to the minors, if all things remain equal. Hammond could fetch the Senators a decent return via trade, which also appears to be an option, but I would guess that a lot of those teams looking for goalies are going to the free agent market first, but will swing back around later. Nevertheless, with Condon on board, he may not get the same amount of work that he did in the 2017 season, but the Senators may be more comfortable giving Anderson an extra night off here and there, with the reliable back-up ready to go in his place. Just don't expect those same numbers, when you're drafting your hockey pool team. The Senators are not hurting for cap space, despite having a few lumps of salary on their books, like Bobby Ryan or Dion Phaneuf. The 23-man projected roster above is still coming in $8.4 million below the salary cap ceiling, which would suggest that they could be players in the free agent market, possibly trying to find some extra scoring help up front and/or some more playoff experience to help push through where they finished this spring, the Eastern Conference Finals. The Washington Capitals didn't qualify forward Brett Connolly, as he was set to go to restricted free agency, but they didn't have to, signing him to a new 2-year, $3 million deal, foregoing any sort of controversy about his contract status. The 25-year old had 15 goals and 23 points in 66 games last season with the Capitals, setting a new career-high in goals, but was still a couple points short of some more personal records. He did have some tough stretches this past season, as a healthy scratch, but a good second half of the season led to more playing time. Normally, a player with the scoring numbers like Marc Methot's wouldn't get acknowledged on the blog in a trade, but his defensive prowess and his shutdown ability have made this deal notable, thanks to the rampant changes that are going on in Dallas in this off-season, they may finally be starting to build in the right direction. The Vegas Golden Knights acquired two futures for the big defenseman, including a draft pick that won't actually happen for another three years and Dallas' 7th round pick in last weekend's draft. I am a bit surprised at how cheap this deal went down for, as Methot was believed to be a well-sought after piece to any team's puzzle on the blueline, especially the Stars. Dallas can run away like bandits, if they have finally found the guy that can protect John Klingberg when he goes on his rushes or any one of the offensive Dallas defensemen for that matter. The Golden Knights knew they had to move a piece or two, more likely still to come, and they are all about the futures in moving forward. George McPhee has said that he likes where his team is already and with their defense and goaltending already looking half decent, he may be right to like his team. Still not sure he got enough out of this deal though, but maybe everyone was low-balling him after last week.